Here is a new Ponder and Enlightening comic! It's about the 4th main restaurant the characters frequent. 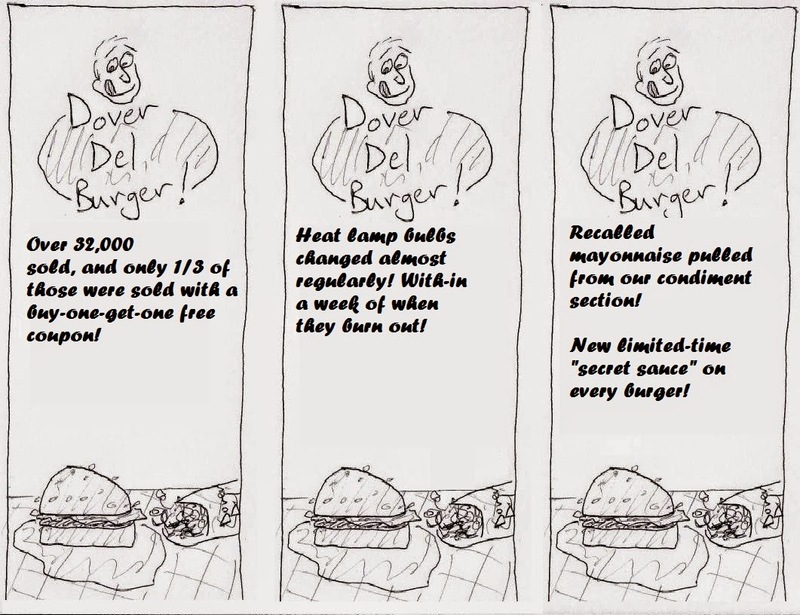 It is a burger joint called "Dover Del Burger" and nobody likes it. They just go there when they can't decide where else to go! Want a Dover Del Burger shirt?